Join us for End Street Harassment Tweet-a-Thon on Tuesday, April 14! 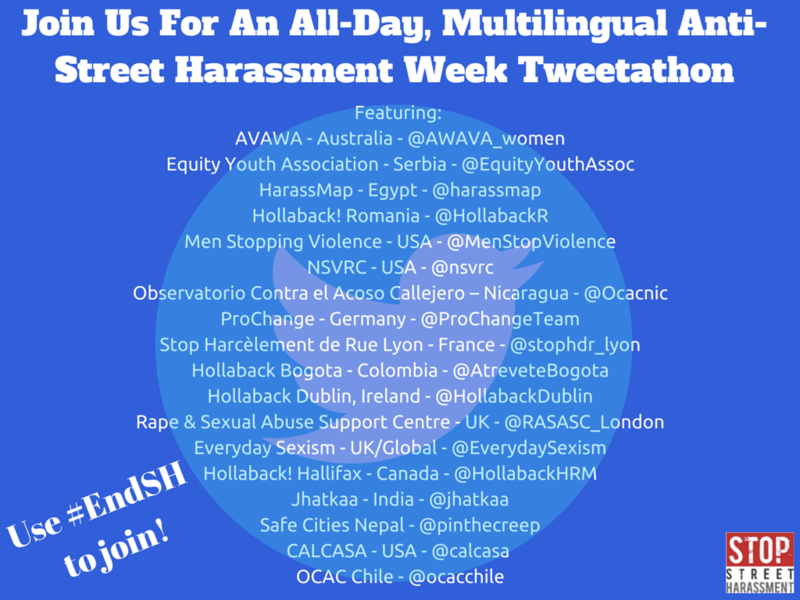 This week, April 12-18, is International Anti-Street Harassment Week! We’ll be participating in a week full of activities around the world by tweeting during Stop Street Harassment’s day-long #EndSH tweet-a-thon tomorrow, April 14. We’ll tweet in English, Spanish, French, and Hindi. Add your voice with the #EndSH hashtag!